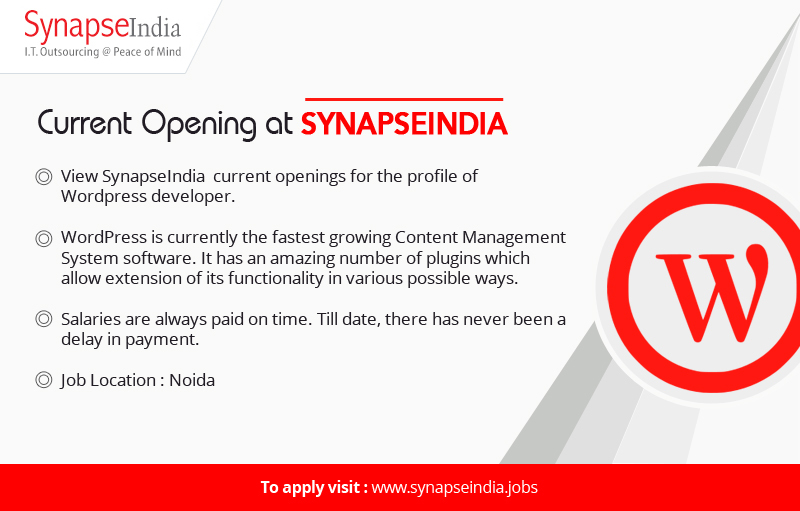 View SynapseIndia current openings for the profile of Wordpress developer. The job location for the profile is Noida. WordPress is currently the fastest growing Content Management System software. It has an amazing number of plugins which allow extension of its functionality in various possible ways. Salaries are always paid on time. Till date, there has never been a delay in payment.